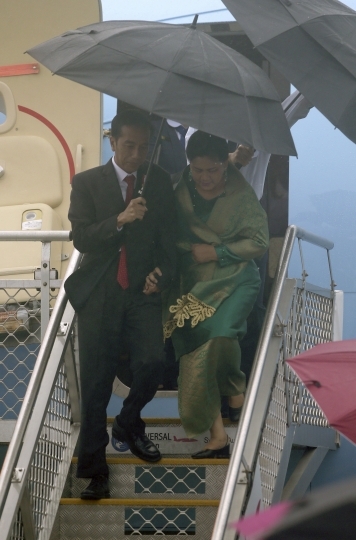 SYDNEY — Indonesian President Joko "Jokowi" Widodo arrived in Sydney on Saturday on his first visit to Australia as his nation's leader. 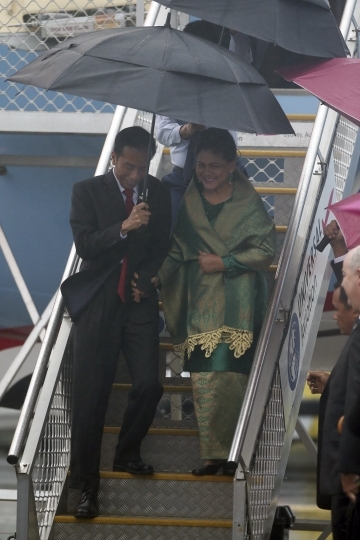 Jokowi and first lady Iriana Widodo landed in rain and clutched umbrellas as they greeted Australian officials on the Sydney Airport tarmac. 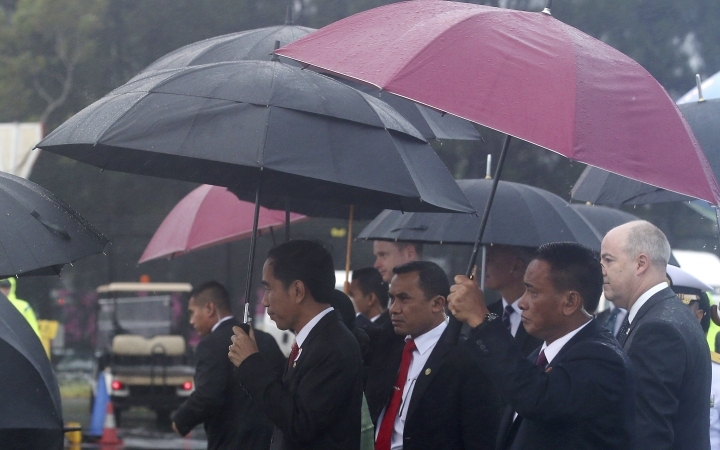 Improving trade and investment will be a key focus of Jokowi's two-day state visit with plans to finalize a free trade agreement this year. Jokowi will meet with business leaders Saturday afternoon before a private dinner at Prime Minister Malcolm Turnbull's harbor-side mansion. "Our relationship with Indonesia is growing deeper by the day but it has not yet reached its full potential," Turnbull wrote in an opinion piece in The Sydney Morning Herald newspaper, adding that Australia trades more with Malaysia, Singapore and Thailand than with Indonesia. Indonesia has a population of 250 million and is Australia's nearest neighbor after Papua New Guinea. Australia has 24 million people.